It all started as a hobby for Mauro Vergano. 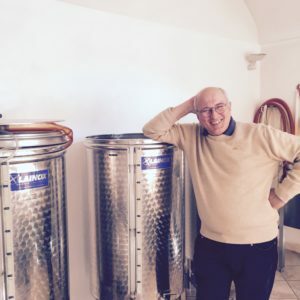 He developed an interest in traditionell Piedmontese fortified wines and spirits and started to produce his Chinato for family and friends in the 1970’s. A few years ago, he decided to keep the tradition alive and go pro. Located in the center of Asti, Mauro buys vines from friends around the area and spice them up with his infused alcohol. The result, after more than 20 years of small experimental production, is four unique products. The secrets is said to be the the perfect balance between carefully picked wines, aromatics and sugar. The grape varieties are Moscato from Gianluigi Bera and Cortese from Stefano Bellotti, to make a balance between acidity and flavor. The wine is blended with raw alcohol and wormwood and when it comes to the herbs it is a mix between thyme, marjoram, basil and oregano. 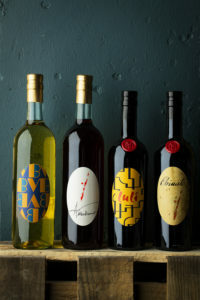 A very traditional Italian vermouth that is sweet, slightly bitter and light yellow. Mauros Bianco vermouth comes in a bottle of 70 cl and has an alcohol content of 16 % . A traditionell Piedmontese vermouth with that bitterness made from the red local Asti grape Grignolino from Casina Tavjin. Contains wormwood and bitter elements of citrus and bitter orange zest followed by gentian root. Mauros Bianco americano comes in a bottle of 70 cl and has an alcohol content of 16 % . The base is Nebbiolo from Barbaresco, from the producer Giuseppe Cortese. The wine is two years old and mixed with china bark followed by a spices and herbs such as cinnamon, cloves, cardamon, coriander, Chinese rhubarb and ginseng. Mauros chinato rosso comes in a bottle of 50 cl and has an alcohol content of 16.5 % . A white Chinato made out of Moscato d’Asti (with a the alcohol content over 10%) from Gianluigi Bera. With citrus zest, cinnamon, vanilla and china bark it is given a unique flavor with fresh- and sweetness. Mauros Luli comes in a bottle of 50 cl and has an alcohol content of 16 % .